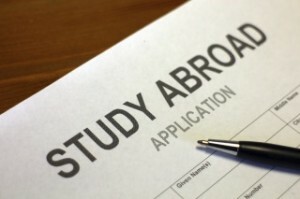 Start your research now if studying abroad is what you want to do. Since my return to India in mid-2012, I have received occasional emails and phone calls from old friends and acquaintances asking for advice - on you can guess what. All of them are parents whose sons and daughters have reached college-going age. They are seriously worried about the college education of their kids. They should be. India’s higher education cupboard is quite bare. As I have discussed in these pages before, we have the largest student population in the world (315 million and counting) but there are far too few half-decent colleges and even fewer world-class institutions. Junk institutions are the norm rather than the exception. There are colleges that offer degrees in X, Y or Z but the burden is entirely on the student to get an education and acquire the knowledge and skills necessary for meaningful employment. Quite often, students must opt for expensive coaching classes to compensate for the poor quality of college education. Given the current state of higher education, it is not surprising that a growing number of Indians are headed offshore. And yes, some of my friends have sought advice on sending their children abroad or information about specific programmes and institutions. Since they tend to have more questions than I have answers for, my standard response beyond a point is to refer them to read as much as possible - from university and college websites and online magazines which carry useful information on higher education. Whether you are a parent or student, spending a little bit of your time reading about the higher education scene in North America, Europe, Asia and elsewhere is more useful than you could ever imagine. Even for those of you heading out as early as this fall, ‘smart’ reading may be useful for at least two reasons. First, while you get a fair bit of information on different aspects of higher education abroad from national newspapers and magazines, that information is focused on Indian students and is therefore limited in many ways. This magazine is different because it does a little more than that; for example, at any given time, it carries several reports on what is happening in the world of ‘international education’. International education, particularly at the world’s best universities, often opens up opportunities in professions you and I have very little idea about. It can make it easier to work in any part of the world. This is especially true for those who earn a degree or two in areas for which there is a high global demand, even if not in India. Of course, some who go abroad are committed to returning home so you might think that all this is irrelevant chatter. But tell me, did you know that a foreign degree, even if from a prestigious university, does not impress many Indian employers because they are clueless (or equally likely do not care) about your alma mater and/or the quality of education you got? I am not making this up; such are the findings that tumbled out from a survey of 559 Indian graduates who returned home. I would go further to say that, unless you know the right people, your foreign degree from a reputed school may be the reason why those doing the hiring, whether in industry, academia or some other sector, may reject you. Such has been my experience. So who knows, after you return to India, you may find that you have to head out again, this time to work for employers who understand the worth of your education, and reward you for it. The news and analyses on higher education that you get from sources such as the Chronicle of Higher Education give you a broader perspective on, among other things, the state of international higher education and the opportunities that exist and those whose time has passed, so that you become better prepared both for college and what comes after, whether in India or elsewhere. Second, it is good to remember that higher education is an extremely competitive sector in the U.S., U.K., and Australia among others. Cash-strapped universities are competing hard to attract more international students like you, for whom they charge significantly higher tuition and other fees. 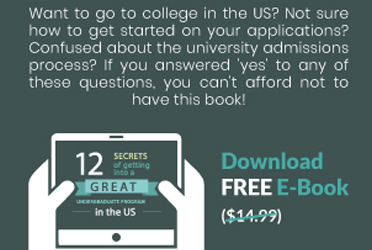 While their websites provide detailed information on a lot of things, it is the kind of information that administrators want you to read so that you choose to study at their college. So it is important to make sure you read and learn as much as possible about information that university administrators would rather that you not have, whether it is about grade inflation, growing size of administrative staff at the expense of faculty or more generally about the quality of education and student life at different universities. Since it costs a whole lot of money to study at any university abroad, it is better that you know the pretty and the ugly about the institution you plan to attend or already attend.